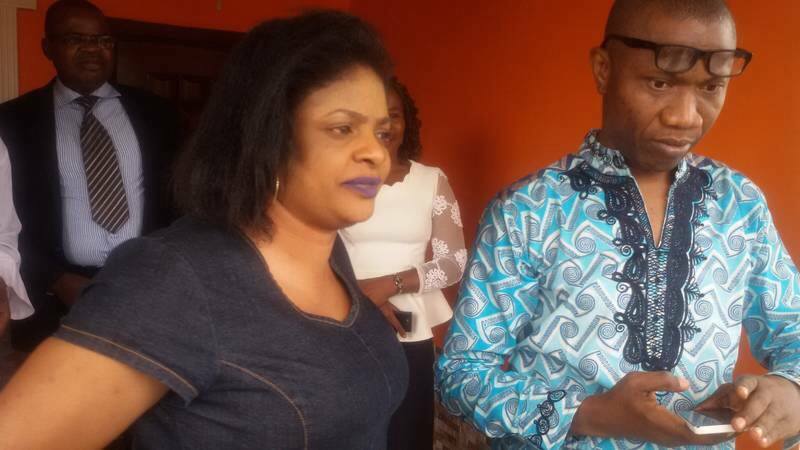 Mrs.Toyin Nwosu, the wife of the Deputy Managing Director of the Sun, Mr. Steve Nwosu released early today by her abductors, after holding her hostage for four days. Mrs Nwosu was released in the early hours of today by the kidnappers who had taken her away since Monday morning . While Mr and Mrs Nwosu could not stop thanking God, security operatives and Dr Orji Uzor Kalu for the role they played in his wife return, Daily Sun learnt from a source close to the family that the kidnappers had dropped her off near Zenith Bank by Festac bridge and sped off with their boat. “She was dropped around 2:30 am the same hour she was abducted from her house on monday.” the sources stated. He further stated that the kidnappers told Mrs Nwosu that it was people in the area that gave them the information about her. We gathered that Mrs. Nwosu was not physically injured but has a clog of blood on her left eye which she said was as a result of a log entering her eyes when her abductors squeezing her through an unidentified bush. God ll punish whoeva was involved in settin dis innocent woman up 4 being generous 2 all dos ungreatful animals in dat area. May fire burn dem all, stupid ingrates! some people selling water might be jealous her freelance spirit of provideing free water will not allow enough income for them as supossed customers now have free water.